If you wish to be included in an e-mail notification list for quick, updated information, send us your e-mail address. (It will be kept private.) We email infrequently so as not to become "spam". 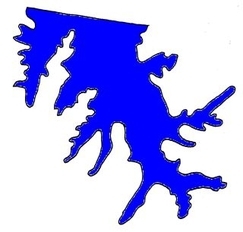 The nest meeting of the Garner Lake Association Board is 7:00pm Tuesday, May 14, 2019 at I. H. Park clubhouse, 4523 Canada Road. The meeting is open to all. 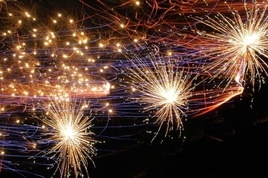 For your advance planning...the Garner Lake Fireworks display will be Saturday, July 6, 2019. Remember, our donations are the exclusive funding for this annual event. More info as the event is closer. If you see muddy water running into the lake from a construction site, please call Lakeland City Hall at (901) 867-2717 and report it. The City is responsible for insuring that contractors contain their muddy storm water and prevent it from entering the lake. Are you on our email alert list? We do not sell or otherwise share your email address. We issue infrequent updates and alerts of interest to lake residents. If you would like to be included, simply send your email request to webmaster@garnerlake.com . LAKE RULES... Have you read them? You must be familiar with and abide by the Rules or you could be banned from the lake. The Official Rules are on this website on the page Rules of the Lake. The lake stage is based on the overflow at the weir on the west end of the dam. Zero is the level at which water will begin to flow over the lip of the weir. -6.0 means the lake must rise 6 inches to reach the lip of the weir. +6.0 would mean the water will continue to flow into the weir until the lake level drops 6 inches. * Note: Weather information below is current. It is updated every three seconds. The weather station is located in Lakeland Estates. This information will NOT display properly on iPhones/iPads since the app requires Flash and Apple does not support Flash. iPhone & iPad users can download a free app from the App Store called Thermo-Hygrometer which uses the current information from this site. See www.garnerlakefireworks.com for details and information on donations, or join their open Facebook group Everything Garner Lake. If you see "outsider boats" or other Rules violations on the lake, please call or text the Lake Ranger. Your cooperation helps all of us by keeping the lake private and safe for all.